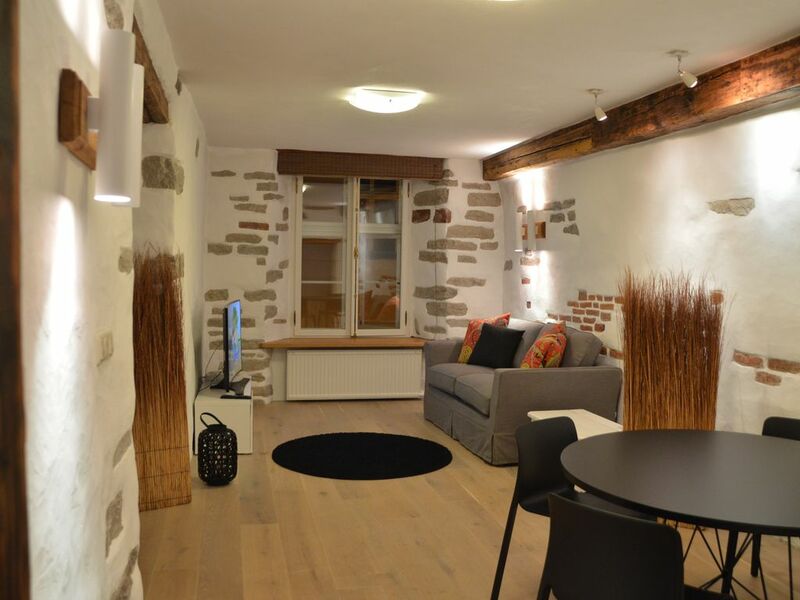 Pikk Old Town Apartment is located in the Old Town of Tallin, just a 3-minute walk from the Tallinn City Museum. Free WiFi is available. The apartment features a living room with a sofa and a flat-screen TV. There is a full a kitchenette with a dishwasher and a refrigerator as well as a bathroom with a shower, a washing machine, a hairdryer and free toiletries. Automatic electric door opening (be sure to carry your mobile phone with you when arriving) you need to call +372 53 26 80 45 when you arrive to the address - door opens with an internet-based remote system. The property is 600 metres from Niguliste Museum-Concert Hall and 800 metres from Tallinn Train Station. Lennart Meri Tallinn Airport is located 4.8 km away. 1 parking place in the courtyard. Great atmosphere. Historic building in centre of old town. I cannot wait to return to this property! I would rate this property with 5 stars, but there is always room for improvement. The absolute only things that I did not like about this property are that the stove is not sufficient to make large home cooked meals and the oven uses steam to cook that food. This is an issue if you like to have crispy food like croissants, homemade pizza, or bake cookies etc. Other than this, quite honestly this property was way more than I expected when I walked in. Although the property owner was not present when we arrived, she put me into contact with a close relative to get us situated upon our arrival. He met us at the property and helped carry our bag upstairs. When we were inside he stayed for a few minutes to walk us around the property and explain its features. This made all of the question we would have had much easier to answer later on. This property is very quiet and hosts interesting decor and an original Old Town medieval feel. It is a very short walk to the Old Town Centre where you will find amazing restaurants to dine. From high-end restaurants to pizza shops to feed every taste. Notably, this property looks exactly as the pictures display and more. We found ourselves spending a lot of time inside during the evening enjoying glasses of wine and being lazy. Even more notable, I made a mistake in planning the return home and ended having to leave Tallinn later than expected. I gave a call to the owner and she was more than willing to help in the situation by understanding the situation and offered us a few extra hours into the evening to remain checked into the property. This helped us a lot since we had bags to carry around with nowhere else to put them. Overall, I would refer anyone to this property and owner if you are looking for suggestions and at its low cost, I cannot wait to return! Check-in time 1100-1300.Other times upon agreement. Late arrivals subject to 30 eur fee.